I recently played a little with StoreVirtual 3200 and wanted to delete created RAID just to test a few different RAID configurations. I wasn’t able to delete RAID, and the error has to do something with the management groups. HP StoreVirtual 3200 has pretty simple interface, but to be honest, I wasn’t able to find where to remove storage system from the management group. In the right top corner ther is a green Action button, click on it. 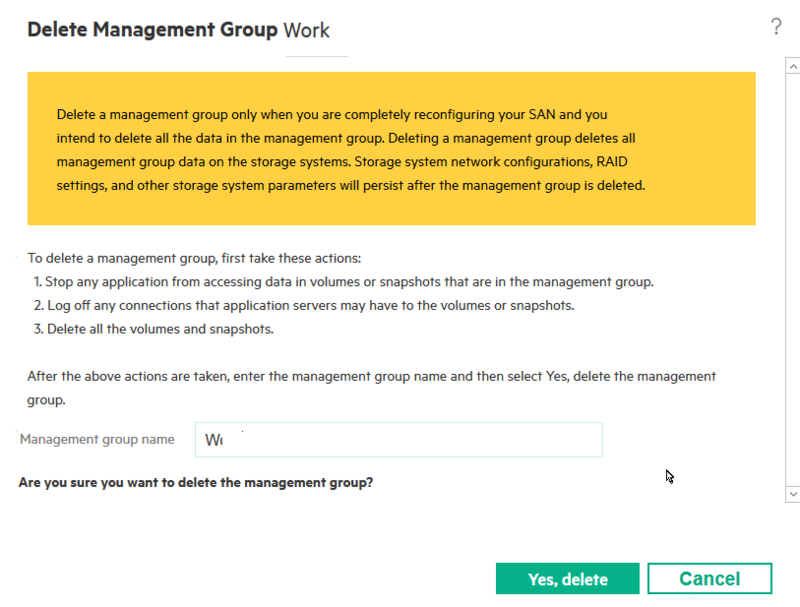 You will get Delete management group option. WARNING!! Deleting Management Group will delete good part of your StoreVirtual, so click on it only if you would like a fresh start on your StoreVirtual 3200. You can read in the screenshot below what will be saved. 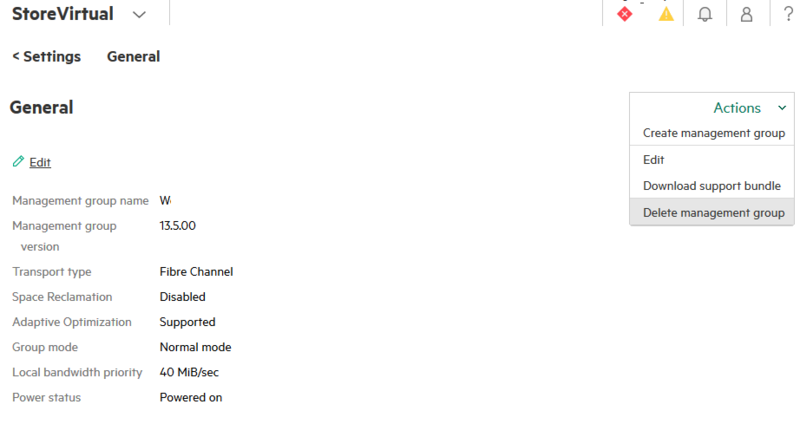 Since I didn’t care about storage, it was only test hardware, I went ahead and selected Delete management group. I was later greeted with initial setup wizard and was able to reconfigure RAID. 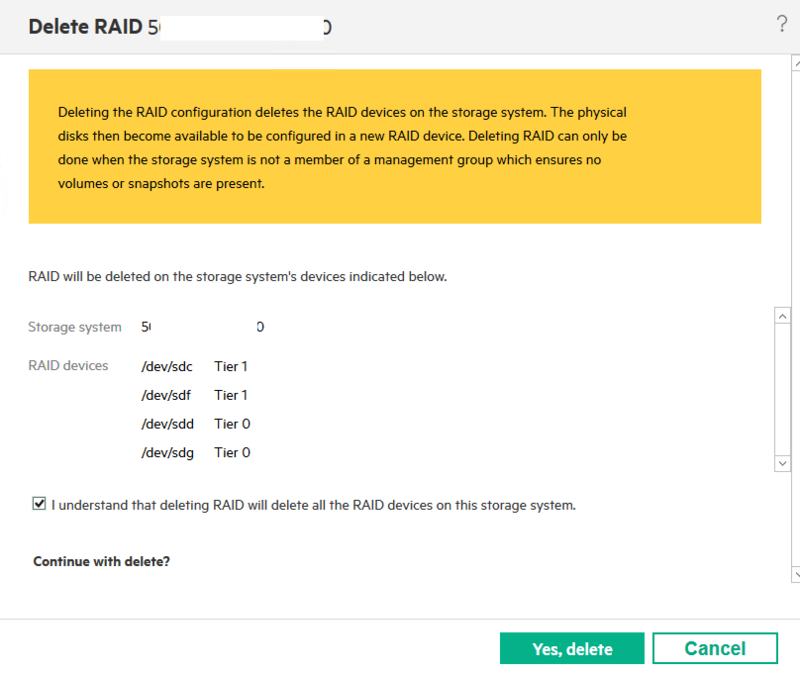 RAID configuration along with the network settings was saved, all volumes and snapshots had to be removed prior to the deletion of the management group. Created accounts were also deleted along with attached server data. All in all, pretty destructive move is to delete management group. So it is up to you to decide what will you do. As always, backup before doing anything destructive. After I deleted all volumes | Yes, delete. You will have to confirm once more.